Our members are a busy bunch! Just a reminder – if you would like your activities and events posted on our blog or Facebook page, please send an email to blog.surfacedesignwa@gmail.com with your event or activity information, your contact info, and a good photo or two or three of your event, activity, art, or yourself! This biennial collection of Northwest artists features a wide variety of mediums to produce an eclectic and visually stimulating exhibit. Jurors: James Arrabito, Chris Hopkins, and Verena Schwippert. Nan and WISD are showing some of their works at the La Connor Quilt Museum in the show Beyond The Surface. Beyond the Surface includes artwork using fiber and fabric as the basis for the work. Each artist has their own unique style and the process used to accomplish their work is as varied as the individual piece. Techniques include: dyeing, wrapping, felting, stitching, weaving, image transfer, beading, quilting, painting, printing, and collage. Diane is an artist participating in the Real Change Portrait Project. Her work (along with many others) will be on display at Seattle City Hall from March 1st through the end of April 2016. The opening reception is March 1st, from 2-4pm. Since the project began about four years ago, more than 30 artists have volunteered to paint a portrait of a Real Change vendor. Caryl says “I’m very pleased to announce that I will be escorting a quilters safari to Kenya in January of 2017. Please join me to see the fabrics and fiber arts of Africa as well as the amazing wildlife and culture in this beautiful country. This is a deluxe tour with professional guides, great accommodations, and only four people per Land Rover on the game spotting runs. And yes, it’s another reminder for all of our members! The Fiber Fusion Traveling Art Show call-for-art closes on March 20th. That’s only 3 weeks away! Don’t let this great opportunity pass you by! A picture that you want included (or two or three – we may not use them all, but it’s nice to have options!) **NOTE – it is wonderful to have a picture of your artwork and a picture of you as well! Just a quick reminder about a great opportunity for quilters to attend a Quilt Art Symposium occuring in Tacoma, WA in April! Quilt Art Symposium promises to shine a light on the future of Quilt Art with three leading speakers, a luncheon, an artist-led tour of the CQA exhibit, and an opening party. Please help CQA by spreading the word about this quilt community event. Reminder – Fiber Fusion’s Call For Art Ends on March 20th, 2016! is 3 weeks away– March 20th. Our wish is that we will have a full breadth of surface design artwork to show the public and that as many Washington State SDA members participate as possible. Let’s show the art world the innovation and creativity that is possible! Surface design refers to any process that gives structure, pattern, or color to fiber. Fibers used could include handmade felt, paper, fabric, or basket-making materials. Textile here is defined as any natural or artificial fiber or a non-textile element, such as metal, that takes on the properties of fiber or is used in combination with textiles. To these surface designers dye,paint, print, stitch,and otherwise embellish. More than the methods, surface designers are interested in the unlimited options for enhancing and experimenting with color, texture, and design. Poorly lit photographs in unprofessional settings can kill your chances of getting your work selected for a show. Do you know how to set up your art, lights and camera to produce the most effective photographs? LM Wood produces an illustrated list of dos & don’ts to make sure your entries get seen. LM Wood is an experimental artist living and working in North Carolina – as well as SDA Website Manager. Originally from Minnesota, she pursued a variety of careers before discovering art in college. She received an MFA in Photography fromUniversity of Cincinnati and an MFA in Fibers from Southern Illinois University in Carbondale, IL. Having been educated in a variety of diverse artistic styles and practices, Wood navigates between the domains of art, craft and technology. Her work is a blend of digital technologies and traditional processes, resulting in hybrid works that elevate process and craft to “high art”. Jurying artwork for an exhibition holds no great mysteries. A group of relative strangers sits in a darkened room while images flash before their eyes, from which they must somehow agree which to accept and which to decline. Easy, right? Not so fast. may be left to the organizer. drawing board for the jurors. decisions. Accept this, forgive them, and carry on. up. Don’t hold it up in the driveway. that is not THE ART. If your piece requires a stand or support, make sure it is unobtrusive. a chance on something they can’t see clearly. see any photographic flaws. Have someone else look at your photos before submitting them. concise, and let the words enhance the experience of seeing the art. Don’t get lost in artspeak – say what you mean. remember that the work isn’t done until the paperwork is finished. and nationally, and is in many private and church collections. She is an experienced Curator, Juror and Judge for fiber art exhibitions locally and for traveling exhibits. Entering A Show – Step One, Create Your Art Inventory. 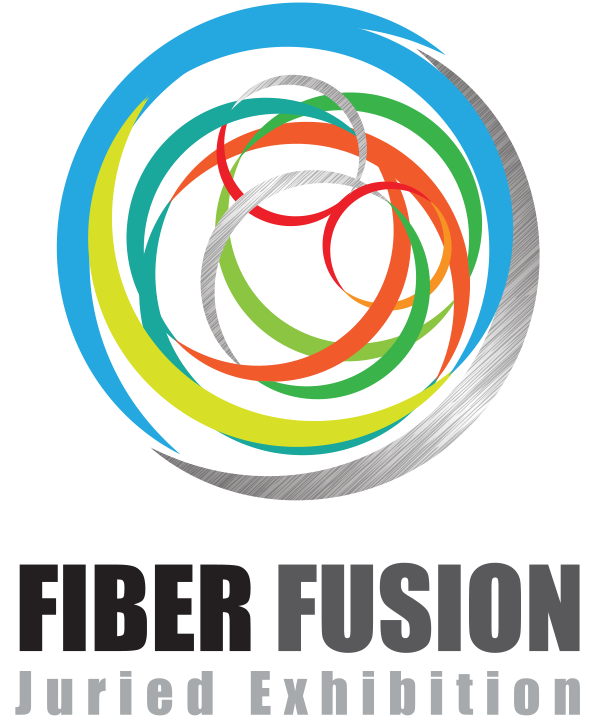 With the opening call for our Fiber Fusion Show in mind, we thought it might be helpful to review the various steps needed to create a successful application for any open call from shows or galleries. We will be posting a series of steps designed to prepare you for applying to shows and galleries etc. If you’re new to this process, these steps should provide you with some basic tools to help you stay organized and produce quality entries. If you’re already participating in shows, these steps are a great reminder for you as well. As artists, focusing on our art is always our desire, but in reality, a good amount of business needs to be conducted if we want to become successful! Before you even decide to enter your art into a show and complete a call for entry form, it is a good idea to create an inventory of the art you want to enter. The inventory will serve for insurance purposes and will be your record of when you finished your art, where your art was shown, the price, the materials, artist statement, and what has sold. Plus, having the inventory will make completing the entry form much easier. Most shows will require you to name your photos with your name, usually last name, then either your first name or initial, the title of the art, and whether this is a full or detailed image, for example: Matthews_Barbara_Happier Days_Full.jpg. Using that naming convention for all your photos makes the entry process that much easier. If you organize your photos under one folder, you can easily find them when it’s time to complete the entry form. *More on preparing photographs of your art will come in a later post. Title of Piece The name of the piece as you would like it to appear on the label and in a portfolio. Date art finished Month and year the piece was completed. If you are like me, this date is a few dates before the first show date. Width in inches (whole numbers) Width in whole inches. Height in inches Height in whole inches. Depth in inches If the piece has a three dimensionality to it, then enter the depth in whole inches. In cases where a piece is not in standard rectangle shape, enter the maximum of the width, height, and depth. Materials and Techniques Usually there is space on the label for one or two lines for the materials. You will save yourself some editing later, if you stick to less than 120 characters (including spaces) for this field. The main idea is to include enough, so that the viewer has an idea of the process. For example, ‘Hand-dyed silk using the Shibori method, wax resist, and machine stitching’. Please note, if you use a product that was made by someone else, you should note that, for example ‘Purchased hand-dyed silk…’ This prevents misrepresentation of your art to the juror and public. 1. What inspired you to make this piece? 2. What does the piece mean to you? 3. What is unique or special about the way you make it? Speak from the heart and after the first draft, eliminate the lofty language that doesn’t add to the description and will only serve to turn the viewer off. Insurance value If you keep good records of the materials and supplies used, you will have an easier time developing a value for insurance purposes. Unless you have a track record of sales on similar art, a claims adjuster will want this documentation of costs. The insurance value is not the price you place on a piece or the amount you receive after the commission is deducted. The insurance value will not change over time, but the price may. Where art has shown It’s a good idea to keep a list of all the places a piece of art has shown. Many galleries or shows have rules about artwork having previously shown at locations close to them. First venue where art was shown Keep track of where your art has shown, this will prevent showing in the same area/gallery in the future. This official name also is your reference in the future—was it Northern Lights Arts, Northern Light Art Center? Dates shown The start and end dates of the show. Price at that venue Price listed at this venue. This does not suggest that the price of the piece should change from venue to venue. Goodwill with the customer will not be preserved if a customer bought a piece at a higher price just weeks before seeing a similar piece in another venue at a lower price. However, that said, you may want to move your art and lower the price if there is adequate time between shows. Second venue where art was shown Repeat these above four rows for the second, third and subsequent places the art was shown. Full image Show requirements for title of image files are typically Last Name, First Name, Title of Piece, and whether an image of the ‘Full’ art or ‘Detail’ image. These could be separated by underlines, for example—Matthews_Barbara_Ghostly Trees_Full.jpg. If you store your image with this name, the process to upload images for a call for entry will be easier. Images in a jpg format are universally accepted format. You should always retain an image at the highest resolution possible, so you can prepare an image that meets the requirements. On a PC, if you right click on the image and select Properties and Detail, you will see the resolution of the image and the dimension of the image in pixels. On a Mac, Open any image in Preview and press Command+I. There will be more on image size in a future post. Photographer This field is the name of the photographer, if you, then your name. Photographers are artists too and should receive credit for the images. Status of the art Has the art sold, what price? What was your share and date sold? Name, Address, and email of the buyer To put on email list for announcement of other shows. Awards Received Title and amount of award. Has the art sold, what price? What was your share? We hope you find this helpful! We’d love to hear from you if you have any feedback or suggestions! !